Social media can benefit college students and recent graduates searching for internships and entry-level jobs. In order to get the most out of their search using social sites, students and grads must first understand how to use them. We have some help for job seekers in this area. Kristen Zierau, Director of Executive Recruiting at JMJ Phillip Executive Search, offers the following tips to help college students and recent grads obtain job search success with social media. 1. “When I speak with college career services departments, I give the advice that job applicants really need to clean up their profiles online. There are programs called scrappers that will pull college students and recent graduates’ posts on Instagram, Facebook, Twitter, etc. and post them on their own sites. The bad thing about this is while candidates may clean up their profiles now, another site could be hanging onto their information for years. If job seekers show photos themselves doing wild or crazy things (or maybe sometimes illegal things), it’s likely someone will find this social media post. The same concept applies to political views. Students and grads can find the devoted Bernie or Trump supporter on LinkedIn pretty easily as they are often spamming LinkedIn with their viewpoints and political “expertise.” They will also find out many of those supporters haven’t landed jobs since graduating in the summer of 2015, so be careful and keep viewpoints private unless job seekers can do it under a seemingly untraceable alias. 2. When searching for jobs on social media, college students and graduates cannot treat it like a casual message to a friend. Don’t use shorthand writing. Make sure the grammar is correct and everything sounds professional. Let’s face it; college grads need to sound like they actually graduated from college! Interested in finding more tips for your social media job search? Visit our blog and follow us on Facebook, LinkedIn, Twitter, and YouTube. 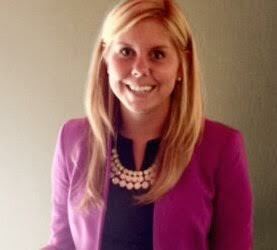 A graduate of Michigan State University’s Business School, Ms. Kristen Zierau began her successful career with Target. As one of the fastest rising employees within the Target organization, she became an Executive Team Leader, making a name for herself in the hiring, training, and development of young talent in the retail sector. Prior to joining JMJ Phillip, Ms. Zierau also completed her MBA at Walsh College with honors. Ms. Zierau made a transition to the management consulting and executive search sector, which she is currently on the executive fast-track program at JMJ Phillip. Soon she will be leading Clarke-Caniff, a brand focusing on recruiting and executive search for the retail and hospitality sectors. 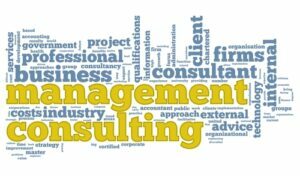 Is Management Consulting the Right Career for You? Management consulting concept in yellow surrounded by related words. Photo courtesy of Shutterstock. Management consultants are in demand more than ever in today’s global economy. Large businesses rely on the advice of top-notch firms to accelerate their growth and services. Despite the need for more consultants, prestigious consulting firms only select a handful of applicants to come on board. 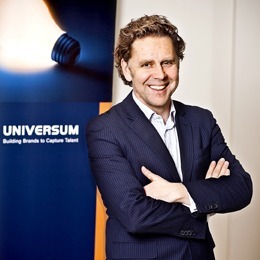 Which are the world’s best employers according to Universum’s 2012 survey of 144,000 business and engineering students from the world’s 12 largest economies?